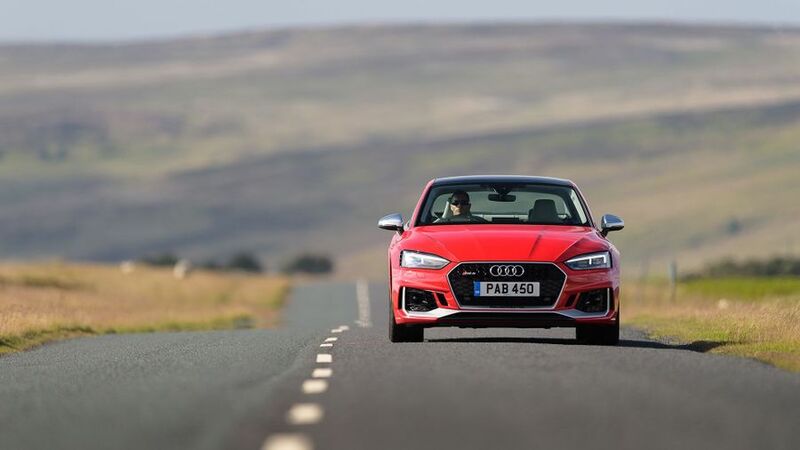 The Audi RS5 is a very different experience to more humble versions of the A5 Coupe, and with what it costs, it jolly well should be. It delivers insane speed and very capable handling, making it an exciting car to drive, but it also provides enough comfort to keep life civilised. Just as importantly, it has the looks, the quality, and the image to induce jealousy on a daily basis. For many buyers, that’ll be reason enough to justify the hefty outlay. The A5 Coupe is a handsome car in its own right, but the flagship RS5 version really needs to mark itself out as something extra special. 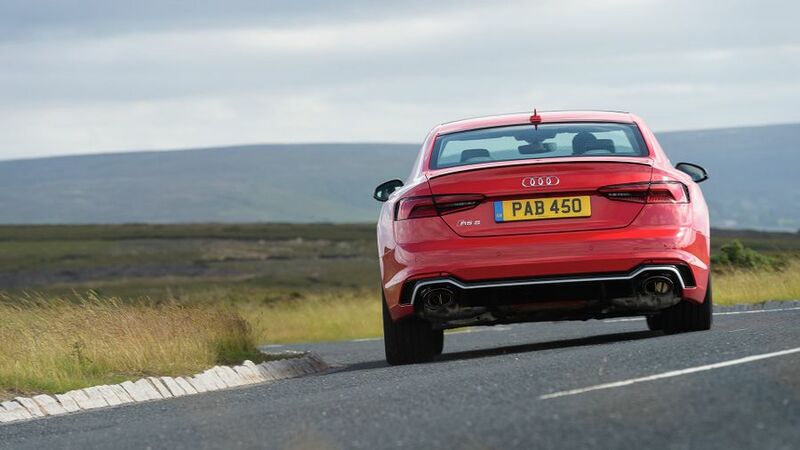 It does that very effectively, and it does so using huge arch-filling alloy wheels, gaping air vents and more skirts and spoilers than you could shake a stick at. It’s a car that certainly captures the attention of passers-by as you roll along the high street, and for many buyers, that’ll be a central part of its appeal. The RS5’s cabin delivers a similarly sporty theme, thanks to a flat-bottomed steering wheel, bags of RS badging, and a liberal sprinkling of suede-effect trim. 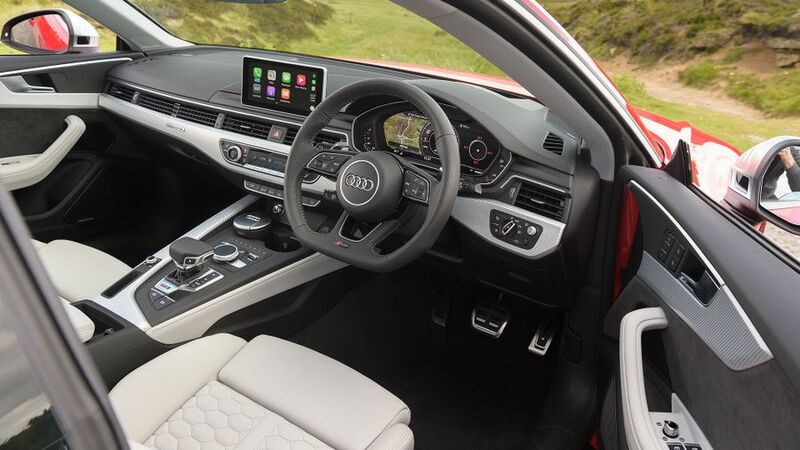 Look elsewhere in the cabin, and what you see is typical high-end Audi. The materials and finishes on display are dense, tactile and effortlessly posh, and all the switches and buttons feel wonderfully slick. Throw in the configurable digital dials and the central digital infotainment screen, and you’re made to feel like you’re travelling first class. 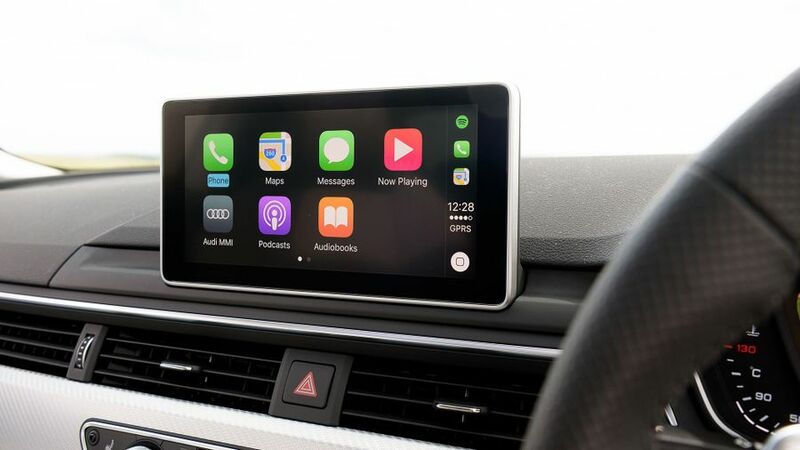 Using the various digital displays to find your way through the car’s wide-ranging functionality is pretty easy, as the Audi’s user-interface is one of the more intuitive systems out there. The wonderfully supportive seats have bags of adjustment, too, so getting comfy at the wheel shouldn’t be a problem. The small rear window and thick pillars either side mean your rear view could be clearer, but that’s criticism you could also level at the RS5’s rivals. It’s no surprise the RS5’s practicality is much the same as with any other version of the A5 Coupe, but that’s no bad thing. The car’s relatively long wheelbase translates into plenty of leg- and elbow-room for four adults, but that plunging roofline means rear head-room isn’t quite so generous. Most passengers should be okay, but there’s every chance people who are six-foot-plus will feel their hair brushing against the roof lining. There are only two seats in the back, too, but with the limited shoulder-room and the high transmission tunnel running down the centre of the car, that’s probably just as well. That said, getting in and out of the rear quarters is a simple enough exercise, and thankfully, the boot is capable of taking a very useful 465 litres of luggage. Unlike many rivals that charge extra for the added convenience, the A5 comes with a 40/20/40 split/fold rear seat as standard. 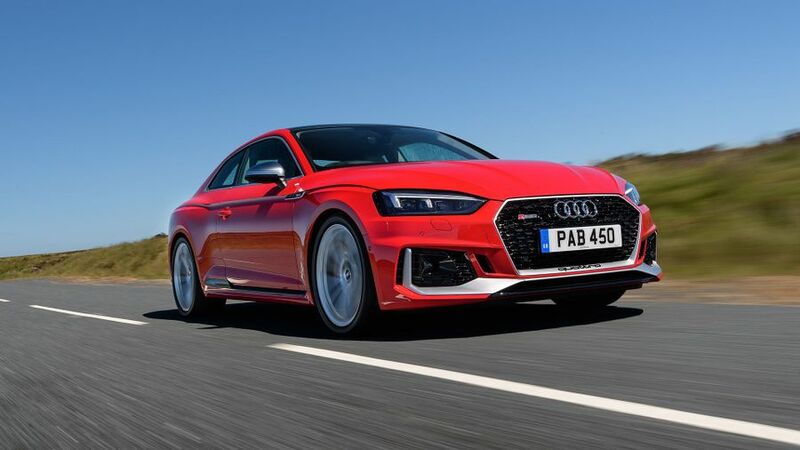 The RS5 comes with the Audi Drive Select controller as standard, and this changes the behaviour of the car according to the driving mode you select, by altering the responses you get from the engine, gearbox, throttle, steering and suspension. Rest assured, it’s not one of those systems where you can barely tell the difference. Select Comfort mode, and the RS5 is a very relaxed and civilised way to get around. The ride is compliant and comfortable at all speeds, the steering is light and manageable, and the gearbox swaps ratios smoothly and seamlessly, so you can waft about in total tranquillity. Switch through the modes up to the sportiest end of the spectrum, and the character of the car changes unrecognisably. The suspension hunkers down to give tighter control over body movements, meaning body lean is much better suppressed in corners and the car doesn’t feel anywhere near as floaty on undulating roads. You feel a whole lot more from the road surface, but it adds to the feeling of increased sensation without becoming jarring or uncomfortable. The tighter control urges you to really attack every bend you come across, and when you do, you’re rewarded with incredible grip and traction courtesy of the wide tyres and permanent four-wheel-drive system. Meanwhile, the sharper responses you get from the gearbox and throttle also give you an extra element of control over how the car behaves. The steering also becomes weightier and more responsive, even if it doesn’t provide the feel some drivers might want from it. 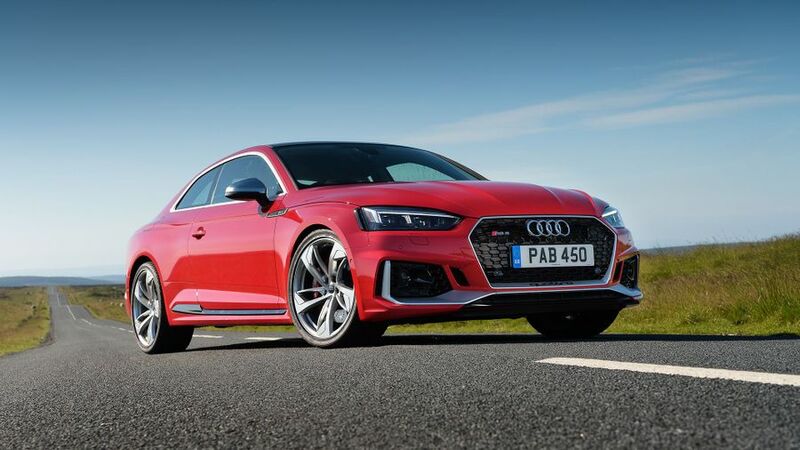 Driving the RS5 is a very different experience to those you get in rear-drive rivals like the BMW M4 and Mercedes-AMG C63, and which you’ll prefer will depend on your preference, but there’s no doubting the Audi is one very capable and entertaining car in its own right. 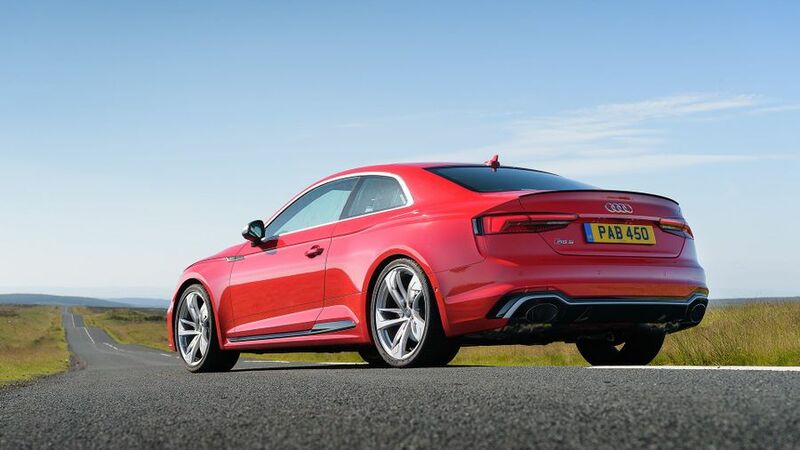 The RS5 isn’t just the hottest of the hot when it comes to A5 ownership: the level of performance you get from this car is on another level entirely from other versions of Audi’s slinky coupe. Power comes from a twin-turbocharged 2.9-litre petrol V6, and there’s plenty of it, with a maximum of 450 horsepower on tap, along with a correspondingly nutty amount of torque. Nevertheless, stick the car in Comfort mode, and the performance feels quite docile – the car is still very, very brisk, but it builds its speed in a smooth, progressive way. Switch to one of the raciest settings, though, and it turns into a complete lunatic. The gearbox keeps the selected gear low and the revs high to keep the engine in its sweet spot, and with all that power being instantly accessible, the acceleration you feel is truly explosive in any given driving situation. The 0-62mph sprint comes and goes in less than four seconds, helped in no small part by the excellent off-the-line traction you get from the four-wheel drive, and the performance is just as savage when you put your foot down on the move. The engine makes a pretty soul-stirring noise at full tilt, too. 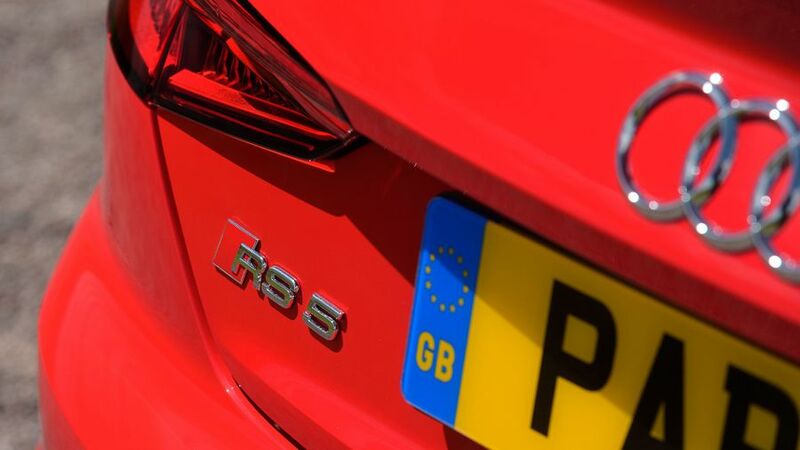 You won’t be entering into RS5 ownership thinking you’ll be able to cope on a shoestring, and it’s just as well. This is not a cheap car to buy, although importantly, it does cost a very similar amount to the BMW M4 and quite a lot less than the Mercedes-AMG C63. Bills for insurance and tyres will also add plenty to your long-term outlay, and the high CO2 emissions mean the taxman will also claim a fair slice. Fuel bills will also be steep, especially if you use your car in the manner its maker intended, but it’s no thirstier than its rivals according to official figures. Resale values are middle-of-the-road for the class – not quite as strong as the BMW’s, but considerably stronger than the Merc’s. It seems like a bizarre state of affairs – especially given the solid look and feel of its products – but as a brand, Audi has never fared particularly well in customer satisfaction or owner reliability surveys. Buyers often complain about the frequency of repairs, and at the cost of them. As a result, the brand sits well down the manufacturer rankings in the Warranty Direct Reliability Index. Mercedes, BMW and Jaguar all perform better, and the previous A5 put in a poor showing, with electric issues and engine trouble among the biggest complaints. Like almost every other brand in this class, Audi offers a standard three-year/60,000-mile warranty for the A5. 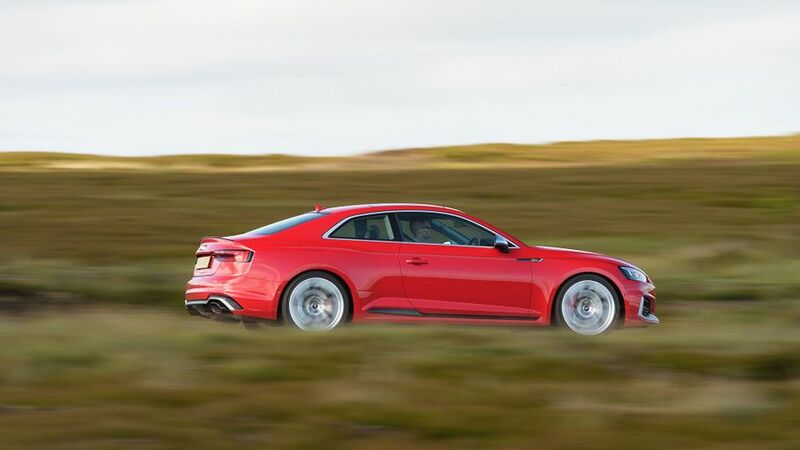 The RS5’s four-wheel drive should help keep all that power going in the right direction, and there are all manner of electronic stability systems on hand to help keep you shiny-side-up. You also have automatic emergency braking and a lane changing assistant to help prevent incidents, and there’s a pop-up bonnet to provide better protection to pedestrians if the worst should happen. If you want to go the extra mile, there’s also the option of stop and go traffic assist, which uses radar to stop and start the car in heavy traffic conditions while maintaining a safe distance from the vehicle in front. The RS5 hasn’t been crash-tested by Euro NCAP on its own, but the A5 Coupe on which it’s based has achieved the full five-star rating. At this kind of money, you’d expect plenty of luxury toys for your money, and that’s just what you get, with electric adjustment for pretty much everything, heated leather seats, three-zone climate control, and high-end infotainment system that brings together sat-nav, DAB radio, a 10gb hard drive and ten speakers. The options list contains many other ways to spend your money, with stuff that’ll enhance the performance of your car, or its looks, or its sound. Because you want power, pace and glamour by the bucketload, along with the kind of quality that’ll always make you feel like you’re travelling first class. 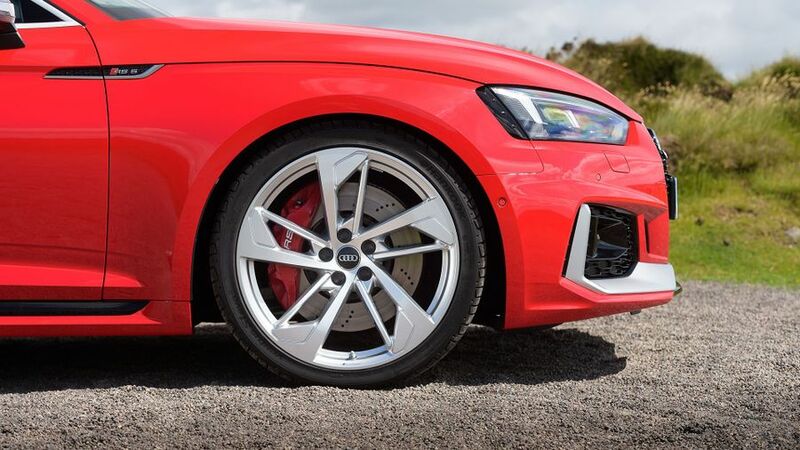 To drive, the Audi RS5 delivers a rather different experience to the cars it competes with, but it’s still a very capable, exciting and beguiling car in its own right.